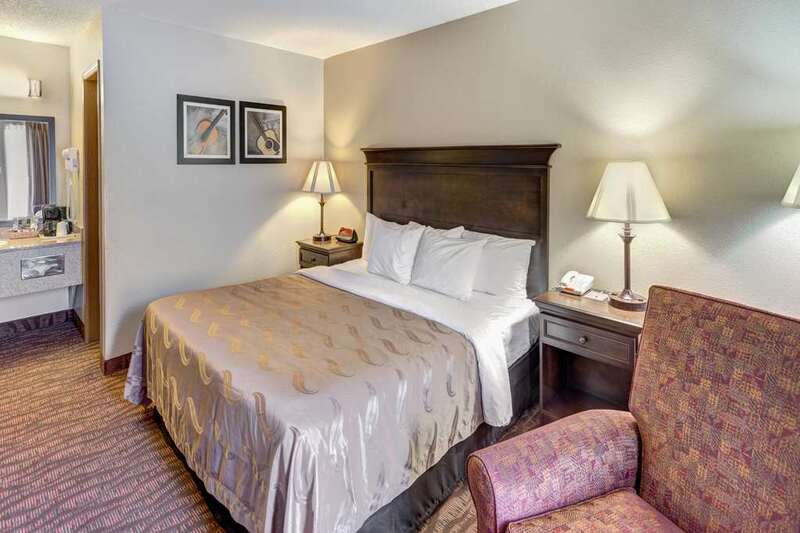 Rest up and refresh yourself at the award-winning Comfort Inn West hotel in Branson, MO. A recipient of the Choice Hotels Preferred Platinum Award, our 100 smoke-free hotel is near such nearby points of interest as Silver Dollar City, Branson Landing, Branson Airport, Factory Merchants and Branson Mall Music Theatre. Amenities include free WiFi, free ample parking, free hot breakfast, indoor pool and guest laundry facilities. Behind every great day is a great night in your guest room, which features a refrigerator, microwave, coffee maker and hair dryer. Also, earn rewards including free nights and gift cards with our Choice Privileges Rewards program.